← Now that’s what I call a bill! It is great that you were finally able to pinpoint it. 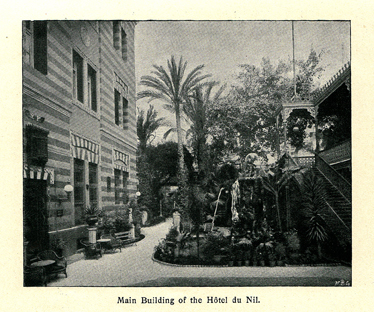 Nicholas is always a wonderful resource on the architecture of Cairo. I had been attempting to figure it out using older guidebooks and maps like Murray’s. 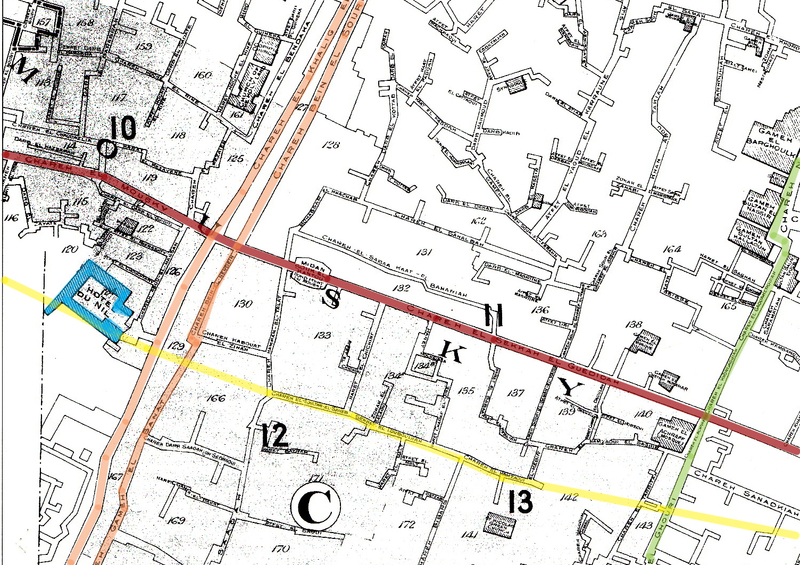 I just looked at the map you published on page 61 and now that we know the location, the outline of the hotel is clearly visible there connected by a narrow lane to Muski St. As an archaeologist it is also interesting to know that Petrie stayed there. I came across your book and the website a few months ago and it was with great anticipation I sat down to read it. I arrived in Egypt in 1973 and know well the old hotels of Luxor. 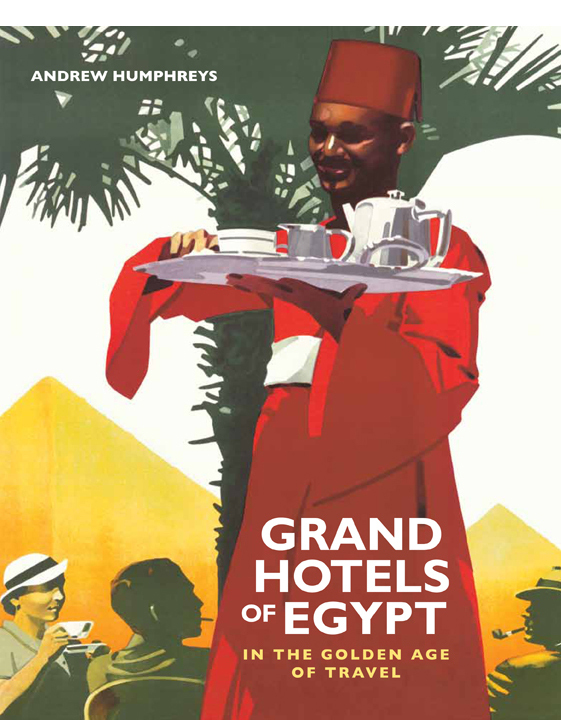 I lived in Cairo from 1978-82, part of the time on the Cook’s steamer, Fostat and have for some years collected travel ephemera from Egypt, especially hotels and steamers, and was pleased to see so many familiar images among the illustrations. The small engraving on p. 55 hangs in our house and I have a lot of the luggage labels, postcards and brochures which I have used in several talks at ASTENE. I look forward to more articles on the website. Susan, thanks very much for your comments. 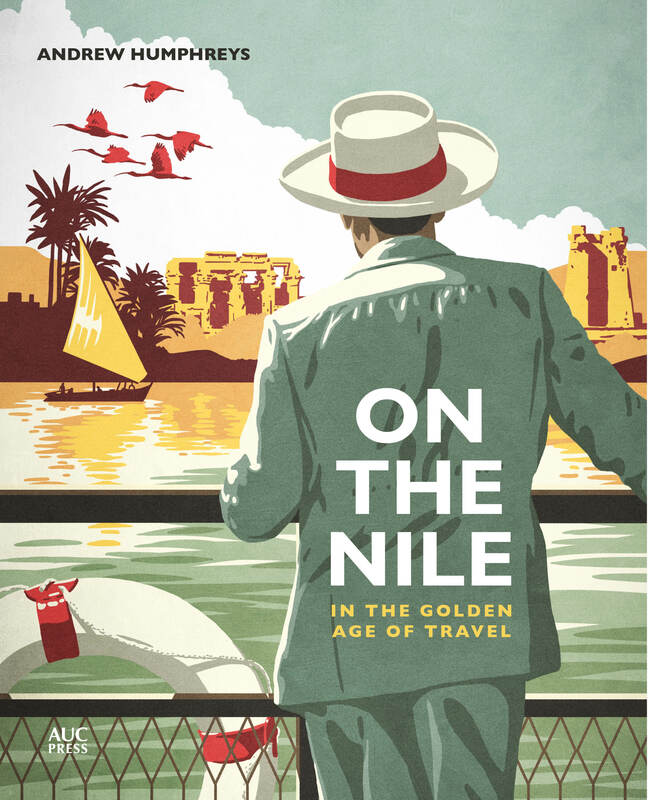 I’d love to hear more about your time spent living on a Nile steamer – can you drop me a line at my email address, which is on the Author page. 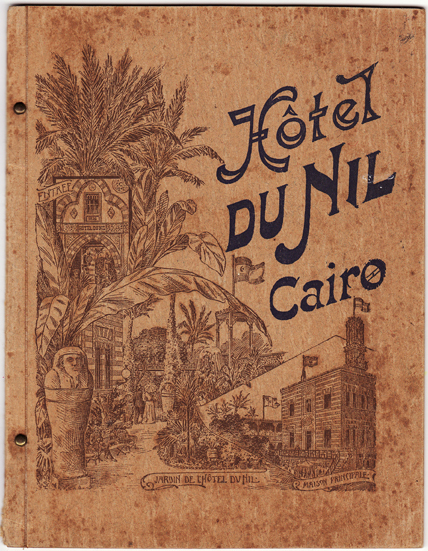 Thanks for sharing your research on Shepheard’s and other Cairo hotels. My interest grew from The English Patient as well.. This is what A.O. 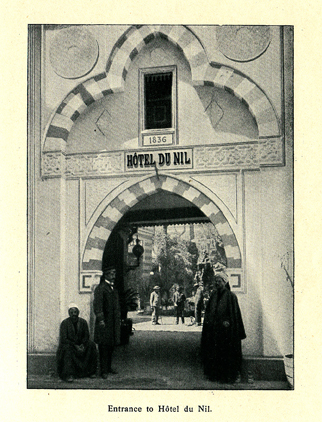 Lamplough writes in his 1909 (1908) book Cairo and its environs: At a given point the Khalig street crosses the Mousky, and just after that crossing is a more definite modern reminiscence, the site of what was the Hôtel du Nil. 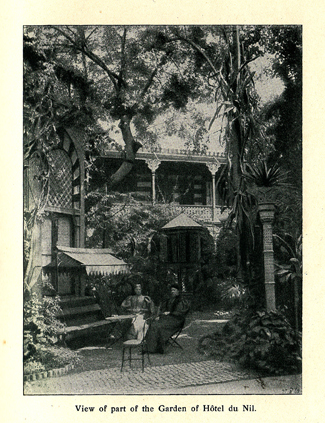 This Hôtel du Nil, secure in its garden enclosure, overshadowed by great palms, beloved of quiet perennial visitors, was a contemporary of the older Hotels ( ). Now it is an empty broken-down space, fringed by a dusty mouldering wall, a site that awaits the fancy of some speculator who may risk the price in whole or in part, and hope to regain it in rent of offices or tenements. Thank you so much for posting that. I have the Lamplough book but somehow missed that passage. 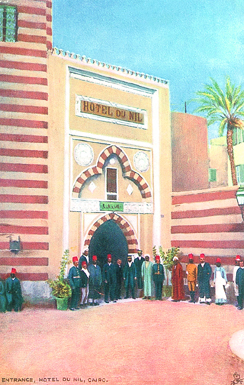 Thank you so much for sharing the information of Hotel Du Nil. I got out my map of Cairo and located as close as possible the site. It was wonderful to realise it is an area that I have walked, explored and shopped many times during my visits to this most wonderful of cities and thanks to Janine’s description shall me looking out for the crumbling wall on my next visit-Inshallah! 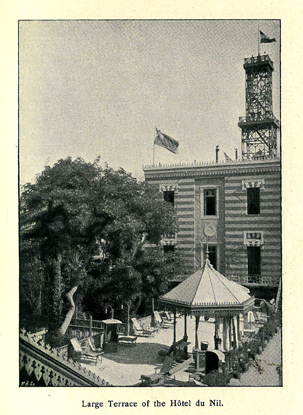 Was on mashable.com yesterday which featured b/w photos of Cairo taken 1900-1930’s. 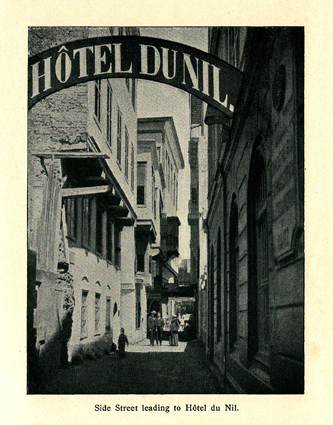 In one street scene of Muski St, are the words Hotel du Nil on a building in the background, dated 1900. DIE PRESSE vom 14. Dezember 1877, 9. NEUE FREIE PRESSE vom 2. September 1880, 13.